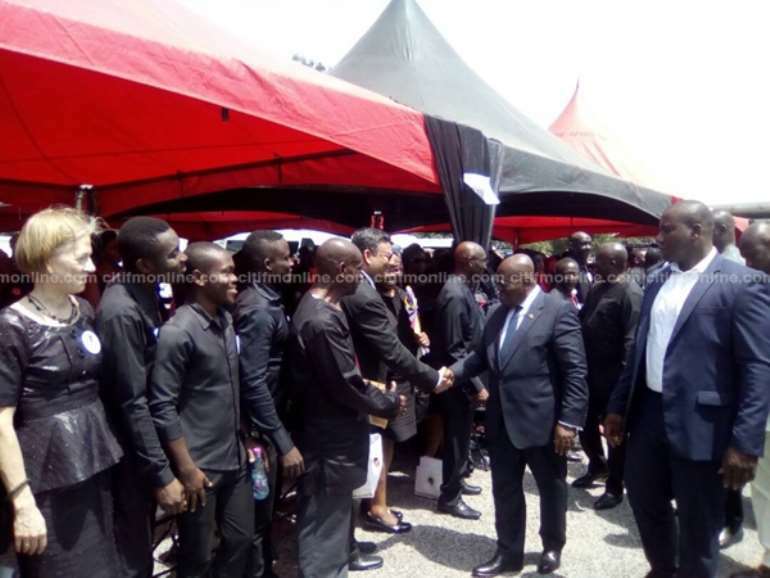 President Nana Akufo-Addo led hundreds of mourners who converged at the forecourt of the State House to bid farewell to renowned Scientist and Mathematician, Professor Francis Allotey. 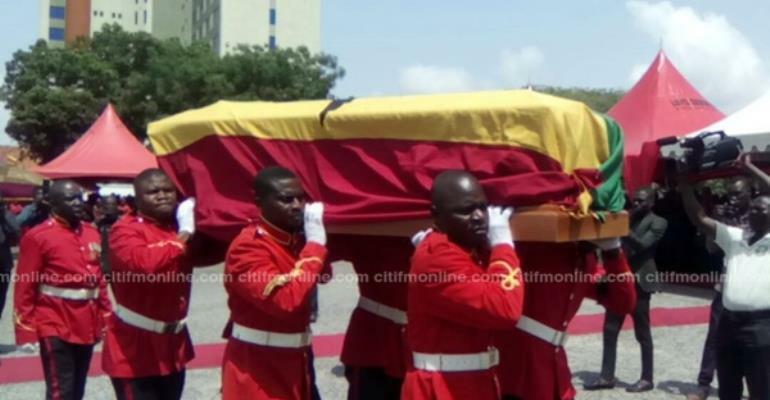 His final funeral rites are to be held at the Saltpond St. John The Baptist Catholic School Park. 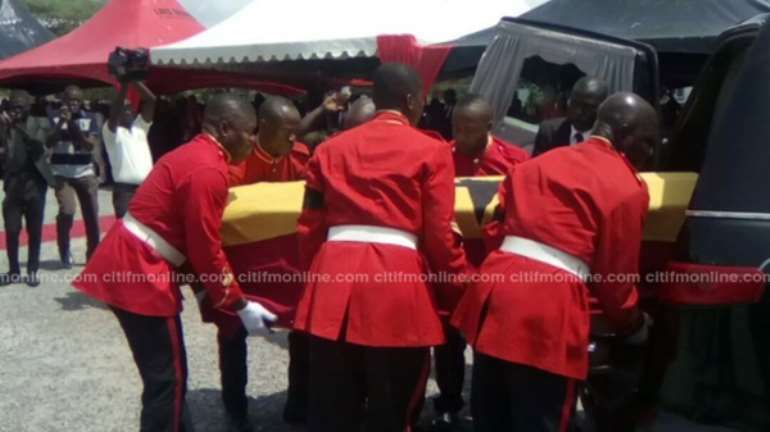 Present at the funeral were officials from government, former heads of state, members of the Council of State, Ministers, clergy, Ghanaian academia, the diplomatic corps, some chiefs from the Central Region and Ghanaians from all walks of life. Born in Saltpond in 1932 Prof. Allotey was the first to introduce computer education in Ghana. He became a global sensation with his work on Soft X-ray spectroscopy widely known principle named after him – the ‘Allotey Formalism’. He served on several academic boards both locally and internationally. The Mathematician died aged 85 on November 2, 2017. Prof. Allotey was a pioneer of the 1952 group of the Ghana National College where he received his secondary education. He subsequently pursued further studies at the University Tutorial College, London Borough Polytechnic and the London Imperial College of Science and Technology where he obtained the coveted Diploma of Imperial College (London) in 1960. It was here that he met his future mentor, Professor Abdus Salam, founder of ICTP, who taught him more salient aspects of mathematics and science. He returned to Ghana to teach at the Department of Mathematics at the Kwame Nkrumah University of Science and Technology (KNUST). In 1962, he began his PhD studies in mathematical physics at Princeton University, during which time he met and worked with many eminent scientists of the time – Robert Dicke, Val Fitch, Robert Oppenheimer, Paul A.M. Dirac and C.N. Yang. He obtained his masters' and PhD from Princeton in 1966 and returned in the same year to take up a position as a lecturer at the Department of Mathematics at KNUST. In 1974, he became the first full professor of Mathematics at KNUST and he soon rose to be the head of the department and later the Dean of the Faculty of Science. 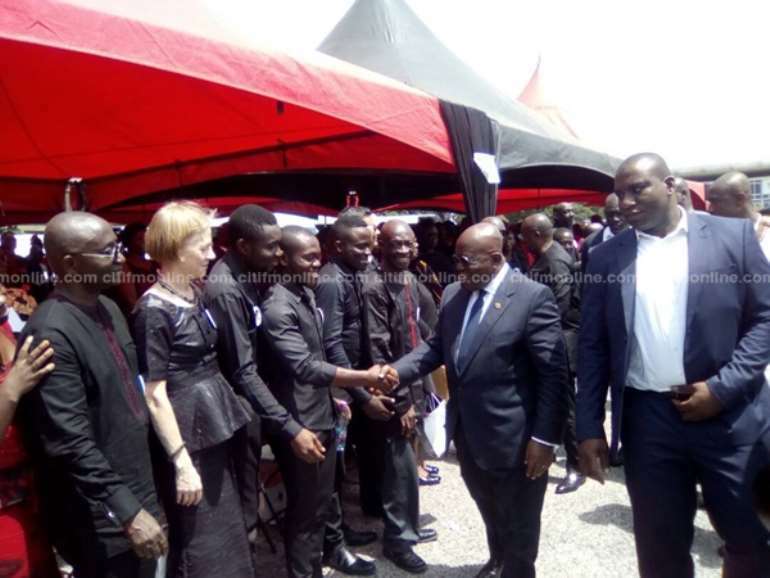 He was also the founding director of the KNUST Computer Centre before he assumed his position as the pro-vice-chancellor of the university. 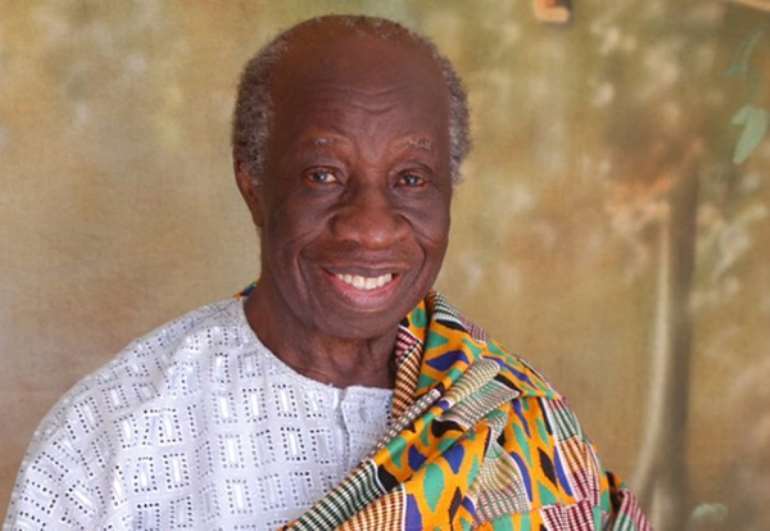 He held many other prestigious positions, including being the President of the Ghana Institute of Physics and the Ghana Academy of Arts and Sciences. He was the founding president of the African Physical Society. Ghana awarded him the Millennium Excellence Award in 2005, and dedicated a postage stamp to him. In 2009 he was awarded the Order of the Volta and posthumously awarded the Osagyefo Kwame Nkrumah African Genius Award in 2017. His dream project of establishing a Mathematical Institute to train young Africans at the highest level in mathematics and its application in fields of endeavour materialised with the establishment of the African Institute of Mathematical Sciences in Ghana in 2012. Besides being a member of, and honourary fellow in many international scientific organisations such as the African Academy of Sciences, International Centre for Theoretical Physics, Institute of Physics and Nigerian Mathematical Society among others, he also held numerous leadership positions at national and international levels. He was a consultant for many international institutions such as the UN, UNESCO, IAEA, IBI and UNIDO. In 2004, he became the only African among the 100 most eminent physicists and mathematicians in the world to be cited in a book titled, One hundred reasons to be a scientist. In 2009, the Professor Francis Allotey Graduate School (AGS) was established at the Accra Institute of Technology. The institute provides tertiary degrees, ranging from Master's in Business Administration and Software Engineering to PhD programmes in Information Technology and Philosophy. He was instrumental in getting Ghana to join the International Union of Pure and Applied Physics (IUPAP), making it one of the first few African countries to join the Union. He worked closely with IUPAP and ICTP in encouraging physics education in developing countries and organising workshops and conferences in creating awareness in the region.